Cracker Sleeve / Cookie Keeper Round and Square Set Just $7.99! You are here: Home / Great Deals / Amazon Deals / Cracker Sleeve / Cookie Keeper Round and Square Set Just $7.99! 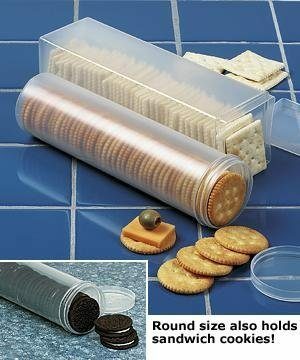 Head over to Amazon to order a Cracker Sleeve / Cookie Keeper Round and Square Set Just $7.99! Shipping is FREE on orders of $35+ or if you are a Prime member! Ideal for keeping those crackers that the kids constantly keep open, fresher, longer!